World’s brightest accelerator; nanostructures; metal oxides. 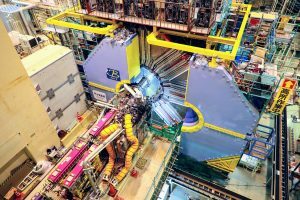 Japan’s High Energy Accelerator Research Organization (KEK) is readying what is considered the world’s most luminous or brightest particle accelerator. The system, dubbed the SuperKEKB, combines an electron-positron collider with a new and advanced detector. The storage ring system is designed to explore and measure rare decays of elementary particles, such as quarks, tau leptons and others. 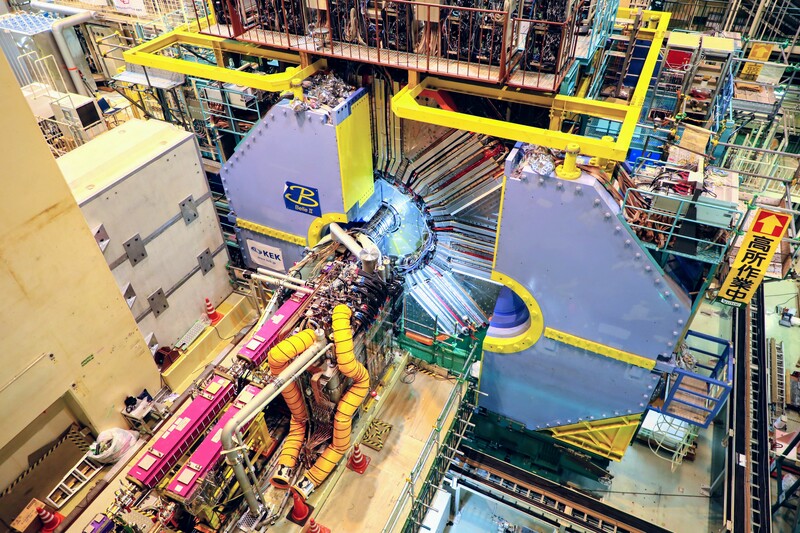 The SuperKEKB is different than the Large Hadron Collider (LHC) at CERN in Geneva, Switzerland. The LHC is the world’s highest energy hadron accelerator. In contrast, the SuperKEKB, located in Tsukuba, Japan, is designed to have the world’s highest luminosity. This is a factor of 40 times higher than a previous machine at KEK. The previous system, dubbed the KEKB collider, ceased operations in 2010. The SuperKEKB also consists of the Belle II detector. “In SuperKEKB, bunches of particles of matter (electrons) and their anti-particles (positrons), with energies up to 8 giga electron volts, are brought to collision at rates which are 40 times larger than in the previous KEKB accelerator,” according to KEK. The whole Belle II detector is approximately 10 meters wide, 10 meters high and weighs 1,500 tons. 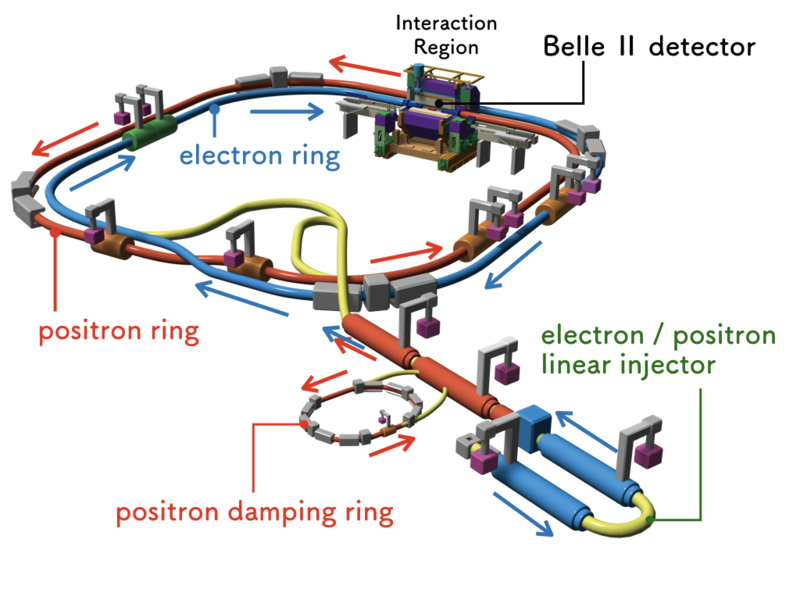 The Belle II detector was designed and built by an international collaboration of over 750 physicists from 25 countries. On March 21, a beam of electrons were stored in the main ring of the accelerator. A beam of positrons will be injected and stored around the beginning of April. The first collisions of electrons and positrons are expected in the coming months. Using a new technique called carbothermal shock synthesis, a group of researchers developed a new type of nanostructure. Researchers have a created the new nanostructure, which is based on eight distinct elements that are known to be immiscible. In other words, these elements were previously thought to be incapable of being mixed or blended together. 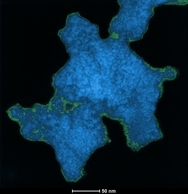 This homogenous nanostructure is called a high entropy alloy nanoparticle. The ability to devise these types of particles could one day enable new catalysts, energy storage systems and other applications. This research was performed through a multi-institutional collaboration with the University of Maryland, the University of Illinois, the Massachusetts Institute of Technology and Johns Hopkins University. Conventional synthesis techniques are limited. Previously, the industry has typically produced nanoparticles, which are limited to only three different elements. At times, the structures do not mix evenly. In response, researchers from the University of Maryland and others have devised a carbothermal shock synthesis method. This technique shocks metal salt-covered carbon nanofibers, which is then followed by quenching. In simple terms, researchers use a two-step method– flash heating followed by flash cooling. Initially, researchers took various metallic elements, such as platinum, nickel, iron, cobalt, gold, copper, and others. Then, these metals can be exposed to a rapid thermal shock of approximately 3,000 degrees Fahrenheit for 0.055 seconds. This, in turn, created uniform mixtures of the multiple elements. Then, the mix is cooled at more than 100,000 degrees Fahrenheit per second. The U.S. Department of Energy’s (DOE) Argonne National Laboratory and others have developed a new “molecular cross-linking” technique to enable a new class of hybrid materials, namely metal oxides. Metal oxides have unique electronic and chemical properties. Titanium dioxide, one type of metal oxide, is used in photovoltaic and photocatalytic applications. This compound has the ability to absorb light. In the lab, Argonne National Labs and others have devised a new way to develop materials, which can improve upon the ability to catalyze chemical reactions or harvest energy from light. Researchers have developed a hybrid molecular boron oxide material, which is formed from polyhedral boron-cluster precursors. The resulting structure is a new boron-cluster molecular building block. The cluster is annealed with a metal oxide. This in turn forms robust and stable interconnected clusters. They act as strands of glue that connect a metal oxide web. This work provides a launching point for future studies of different “cross-linked” materials. In the future, researchers hope to gain a better understanding of the technology. “If we can stitch in these molecules exactly where we want them to be, it will give us a powerful ability to make and understand hybrid materials with a wide range of uses,” said Alexander Spokoyny, a chemist at the University of California-Los Angeles (UCLA). This work was a collaboration between the DOE’s Argonne National Laboratory, UCLA, the University of California-Santa Barbara, Purdue University and the University of Oregon.